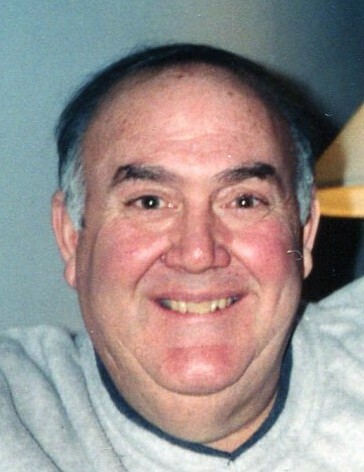 Obituary for Richard C. DeVito | Wright Funeral & Cremation Services, Inc.
Richard C. DeVito, 70, of Downingtown, PA passed away Sunday, March 17, 2019 at the LifeCare Center of Chester County in West Chester, PA.
Born in Bryn Mawr, PA, he was the son of the late Santa (Castagno) Benatti and Dominic DeVito. He was the beloved husband of Bonita (Bonnie) J. DeVito with whom he shared 49 years of marriage. Rich was the owner of an auto repair shop for many years. He was currently the manager at Scott Carter Enterprise auto shop in Downingtown. Rich enjoyed playing golf, fixing cars and helping people. He had no problem giving his thoughts on a situation. He would often say, "You know what you should do is..." Most of all, he enjoyed his grand kids who affectionately called him pop-pop. He was determined to be present at all sporting events and activities they participated in. Rich was genuine, caring, and funny. His gentle nature caused people to love to be around him. He leaves a loving family including his wife, Bonnie; children: Leigh, Jeffrey (Tara), Beth (Matt), and Michael (Vicky); brothers, Stephen and Dean; 6 grandchildren: Cierra, Fiona, Matthew, Marie, Jackson, Celestyn; and many other relatives and friends. The family is planning a gathering at a later date. The interment will be held privately. Family and friends are welcome to light a candle or shared a condolence message for the family on the online guest book.